Akkineni Nagarjuna says he would like to celebrate many more birthdays with his wife Amala. 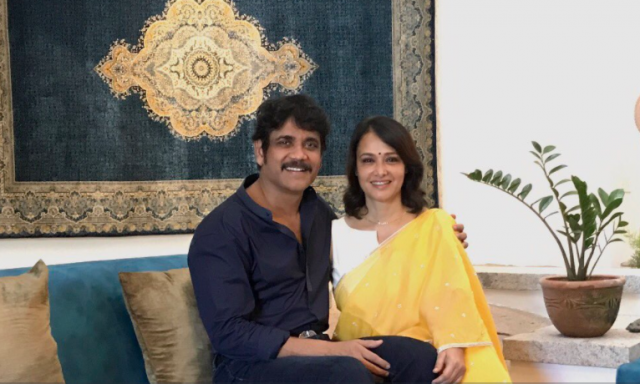 Actor Akkineni Nagarjuna said he would like to celebrate many more birthdays with his wife Amala, who turned 49 on Tuesday. “I love you sweetheart. I wish for myself many happy returns of today with you. Happy birthday,” Nagarjuna tweeted on Tuesday. The couple got married in 1992 and they have a son, actor Akhil Akkineni. Having starred in popular Telugu films such as “Shiva” and “Nirnayam”, Amala bid adieu to acting after she got married. She made a comeback to acting in a small role in 2012 Telugu film “Life is Beautiful”. She was also seen in a cameo in 2014 Telugu film “Manam”, which also starred actors from three generations of the Akkineni clan. Her latest release was Malayalam film “C/O Saira Banu”, which marked her return to the industry after two decades.